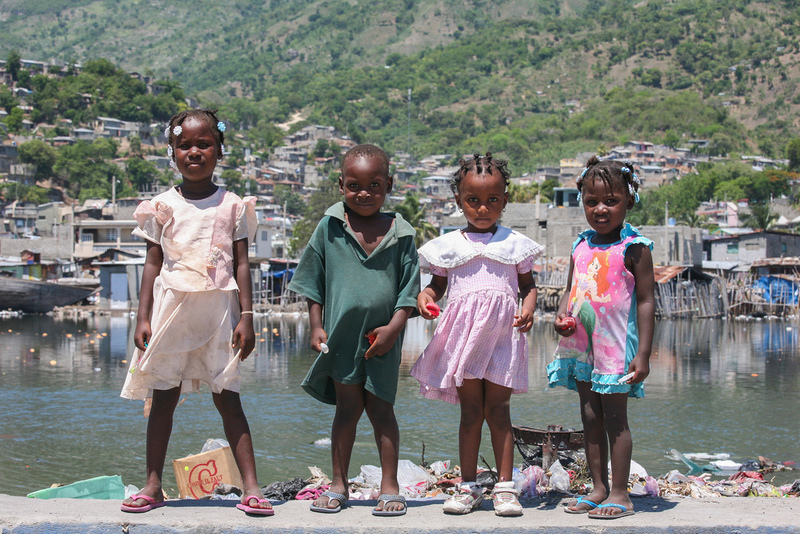 Portrait by the River at Cap Haitien, Haiti. By Alex E. Proimos, Sydney. Published April 11, 2014 at 1024 × 683 in How to contemplate – Part 1	~ Post a comment or leave a trackback: Trackback URL. Many thanks to Alex Proimos for this charming photo of four Haitian children, all with differing expressions. License details: https://creativecommons.org/licenses/by-nc/2.0 / No modifications made.